Gluten free shopping can be a bit hit and miss, BUT sometimes you do find both a ‘new’ product and a bargain at the one time. I went looking for Delites Rice Crackers in single serve packs at The Reject Shop as we had run out of our supply. 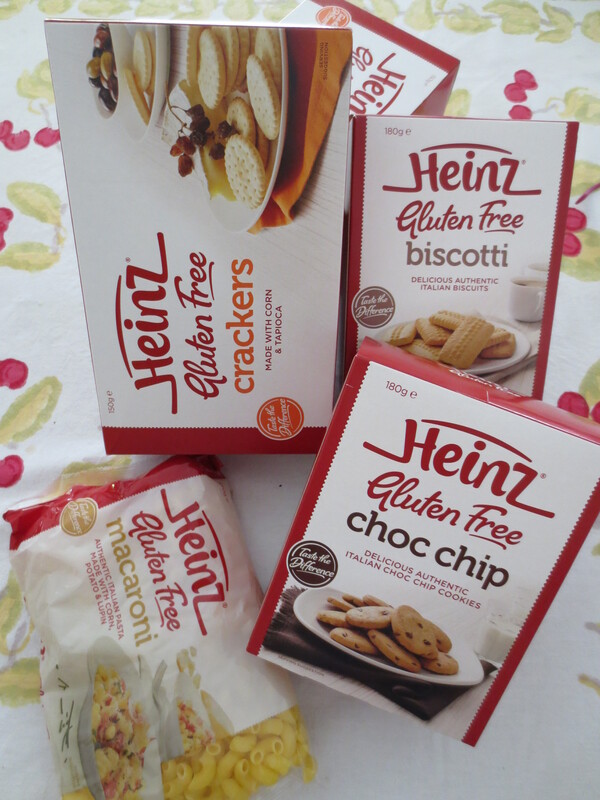 While they are no longer on the shelves, I did find Heinze gluten free products. While I have been able to purchase the crackers before and the pastas, I had not seen the sweet biscuits. The Choc Chip Biscuits are been enjoyed by the gluten free and non gluten free young men in my house. KJ’s friend has had to taste test as well and they have met with his approval. BUT the best part of this story is the price $2.00.… I have never been able to buy a packet of gluten free biscuits for $2.00 so I am off to The Reject Shop to stock up on more Heinz gluten free.